Liv (fourth from left) and the other winners at the 2017 Annual Funding Event. At last year’s Annual Funding Event, Olivia (Liv) Chapman pitched for funding on behalf of her organisation Emu Music. Liv and Emu were looking for funding for their second Emu Youth album, a compilation of worship songs designed to help teenagers praise God. In early August, the album, No Love Is Higher, will be launched at an event held at St Thomas’ North Sydney. Liv and the Emu Youth band are looking forward to sharing the album with the youth groups that will attend the launch, as well as the stories behind the songs and the scriptures that inspired them. We're in the final stretch of the album as we listen to and finalise the songs, and then we'll send it off to be mastered and pressed into CDs! Olivia Chapman, receiving her award from Annette Pierdziwol. It's a very exciting time to see everything coming together, but it's also when the bills start coming in. There are the musician's fees, producer fees, mixing and mastering fees, CD pressing, delivery, social media boosts, graphic designer fees, studio and equipment hire costs, and food while we were on the job (a girl's gotta eat!). It makes the $9.99 you pay for Spotify Premium seem like an absolute steal! We really do make almost nothing from streaming sites, so ADM's support means that we could pay for those bills without taking money from other parts of our ministry, like making our conferences accessible for local church musicians. It's our hope and prayer that the songs on this album will reach young people in a way that transforms them in their walk with Jesus. We want people to know him more, love him more and trust him more. We believe in the transformative work of Christian songs - not because of melodies and chords, but because when Christ's word is proclaimed, in speech or song, his Spirit is at work. It is such a gift that God has given us music by which to teach and encourage one another, and we hope that these particular songs will do that. To find out more about Liv, the new album, and the launch event, visit the Emu Music website. 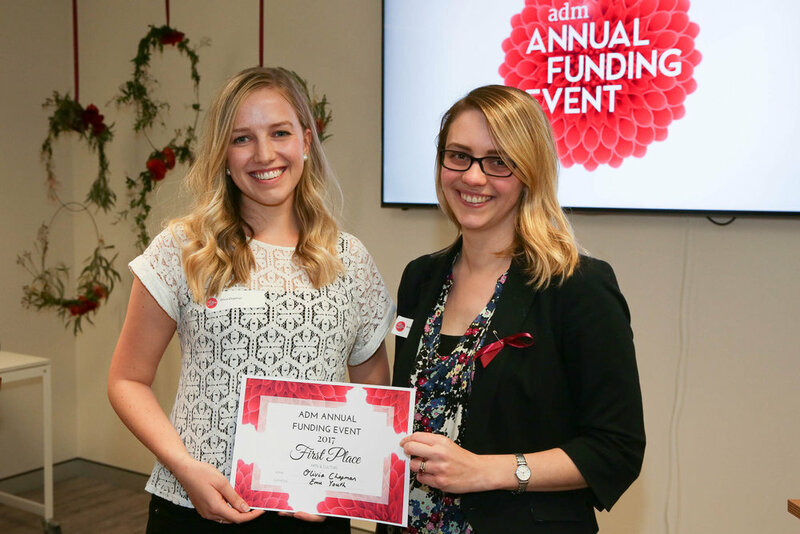 Find out more about ADM’s Annual Funding Event and apply. Application open 1 June, 2018 to 5 August, 2018.